An opportunity for our local talent to hone their skills and practice in front of a live audience and we have no doubt there will be some awesome acts waiting to be discovered. If you are in a band or know someone get them to register and then support them to win cash prizes or recording time in a professional studio. Entry is free and PA and lighting are supplied so show us what you have got. 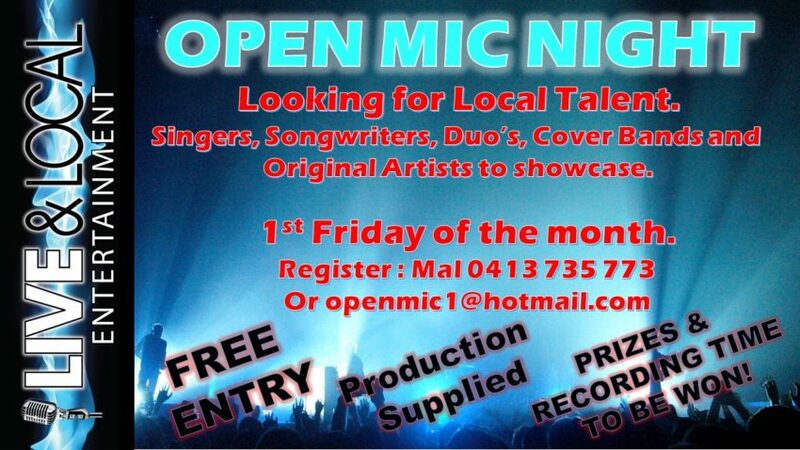 Contact Mal Wardrop on 0413 735 773 or openmic1@hotmail.com.